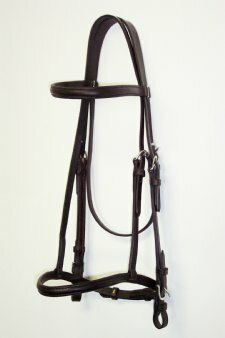 This English Show Bridle includes the caveson and is made with English Bridle Leather that is 3/4" wide, Stainless Steel Hardware. It fits most draft horses. Bit and reins sold separately. This Bridle can be customized!! Please call for more information!